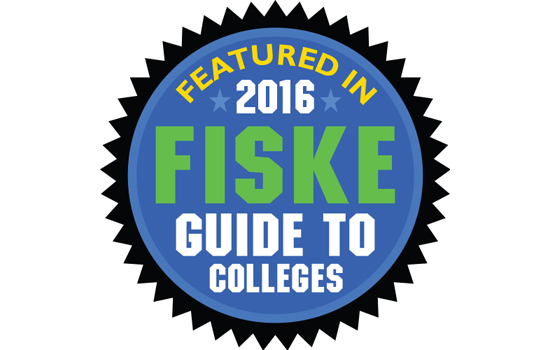 Once again Rochester Institute of Technology has been selected in the newest Fiske Guide to Colleges due, in part, to RIT’s successful co-op program and diverse campus. The guide, compiled by former New York Times education editor Edward B. Fiske, is a selective, subjective and systematic look at more than 300 colleges and universities in the U.S., Canada and Great Britain. There are more than 4,000 colleges and universities in the United States. Those selected for the guide include the “best and most interesting” colleges and universities. Majors including engineering, computing, business administration, information sciences, journalism, philosophy, game design and public policy were highlighted, as were ceramics, woodworking, glass, metal craft and jewelry making offerings. “The unique mix of art, engineering, business and science students, along with the large number of deaf students (more than 1,200 are supported through RIT’s National Technical Institute for the Deaf) creates a diverse atmosphere on campus,” the guide said.